I squeezed my head through the tight neoprene seal of my drysuit then grabbed my life-vest, beanie and thick gloves then headed out the door. The air was thin and the temperature was below freezing. Everything around was white. 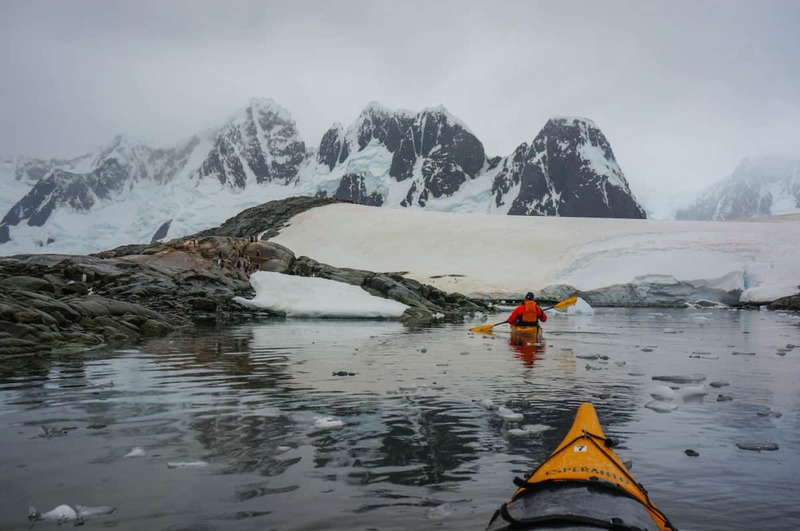 We are at the bottom of the planet, in the frozen continent of Antarctica and today, like the previous 6 days, we can’t wait to go kayaking again. Since I can remember Antarctica has been on my mind. It’s a dream I always saw as too far and too difficult to achieve that I even considered it almost impossible. But life has many surprises waiting for those who are ready to fight for it. And here we were, my wife Amanda and I on the White Continent. 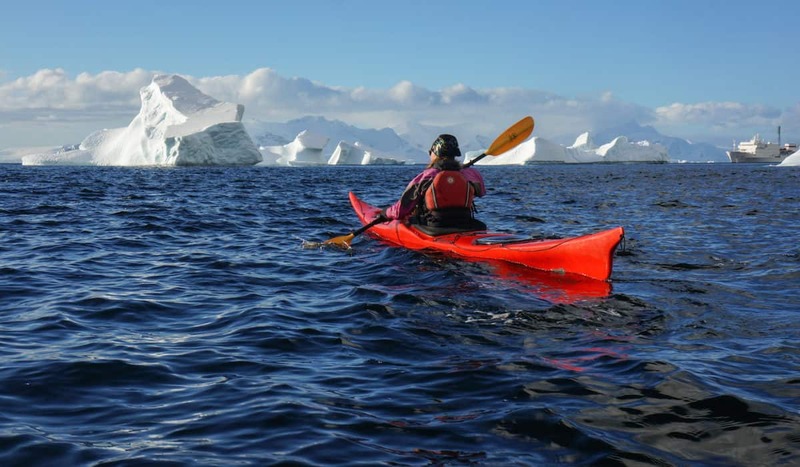 In the last week we’ve been exploring different areas of the Antarctic Peninsula by kayak. After 6 consecutive days of paddling, Antarctica still amazes me every morning I wake up and look through the window of my cabin. It’s a truly unique place like no other on Earth. Depending on the day it can bring you choppy water, strong winds or big waves, but what it never fails to provide is an incredible beautiful place full of wildlife, ice formations and peace. 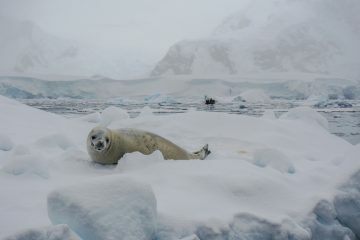 Due to the extreme conditions of Antarctica you need a good support team to fully enjoy kayaking in these waters. Rather than long hours, we opted for two 1-3 hours blocks of paddling that were combined with hiking or other activities every day. This way you can go back to the boat when you start getting too cold, eat and rest for a while, and get ready for another excursion in the afternoon. You don’t normally start kayaking from the boat either. 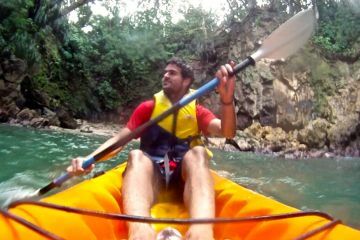 Instead, you jump into the zodiacs and travel to the best kayaking spots. This way you maximize your paddling time enjoying the best parts of the Penninsula. 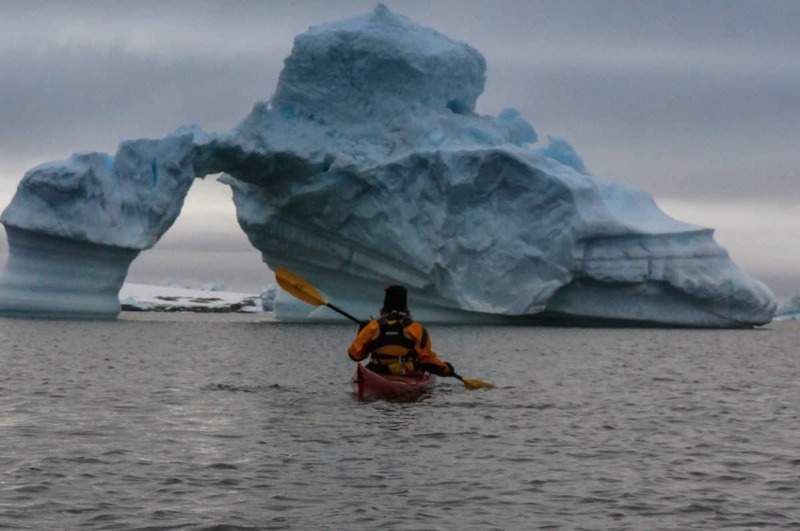 A soon as I sat into my kayak, all the icebergs around me got bigger instantly. It’s amazing how small you can feel while paddling in Antarctica. Apart from the high mountains on land, the coast is full of ice formations of every shape and size. 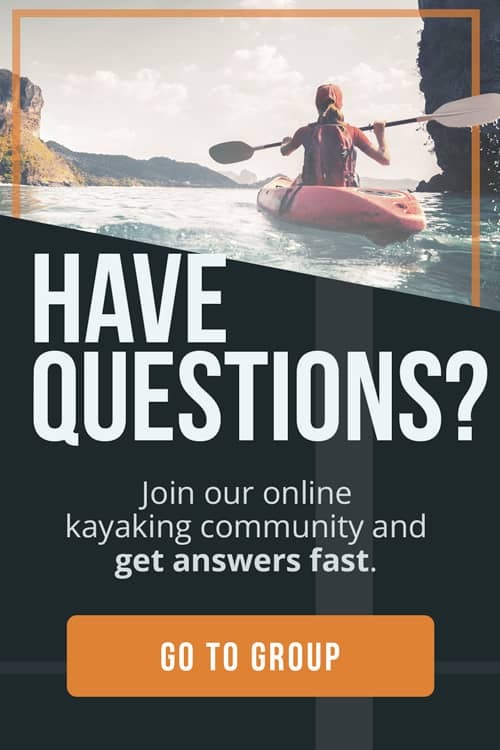 It’s a true kayakers paradise. The islands formed by the ice hide many surprises that can only be discovered with a kayak. Arches, caves, passages… gorgeous formations that are very temping for paddlers as well as very unstable. But what makes the Antarctic Peninsula different from the Arctic, are the huge penguin colonies that live down here. Gentoo and chinstrap penguins can be found in the thousands, and many of those colonies are not used to seeing humans. Reaching those colonies with a kayak is an unforgettable experience. Since you are in the water, you can get really close to them without disturbing their space. They feel safe. They look at you and you look at them. Each party spends the time analyzing the other and contemplating how different the origins of each other are. 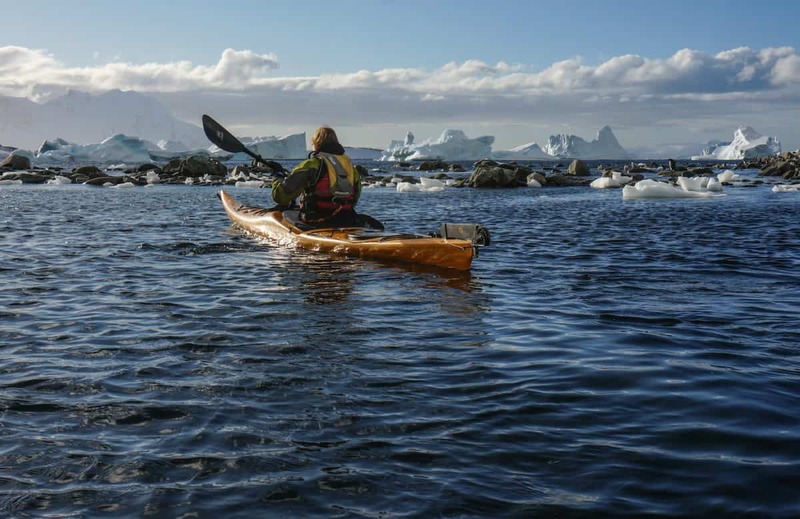 When paddling in Antarctica you are always in “search mode”. These waters are full of surprises and some of them come in a big size. Up to 8 types of whales can be found in this polar region, being the most popular ones the humpbacks, minke and fin whales. 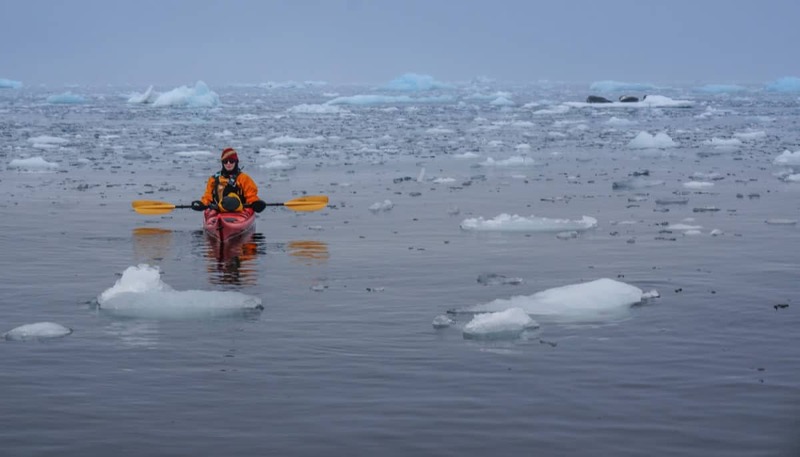 While paddling in Wilhelmina Bay, the snow was falling and the infinite sucession of small icebergs created a beautiful landscape. We were navigating among the ice when someone shouted “Minke Whale!” Right in front of us, at about 15 meters away, this huge grey fin came out the water. Moments like this one are the ones that make this experience unforgettable. 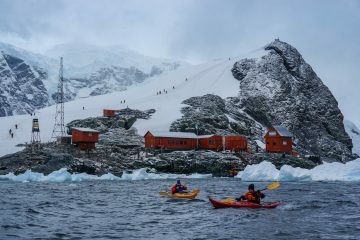 Kayaking in Antarctica exceeded my very best expectations and it’s a trip I will carry on my mind for years to come. 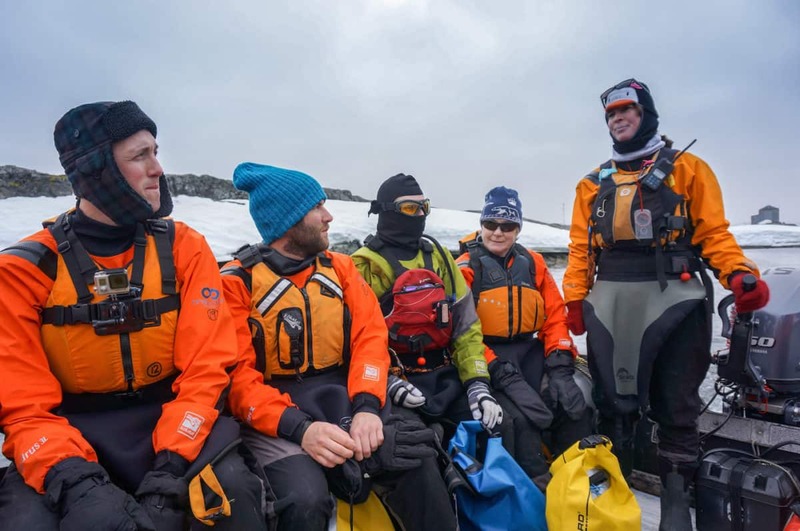 You will need to bring some specific gear to an Antarctica trip. The list will depend on what the company you go with will provide. 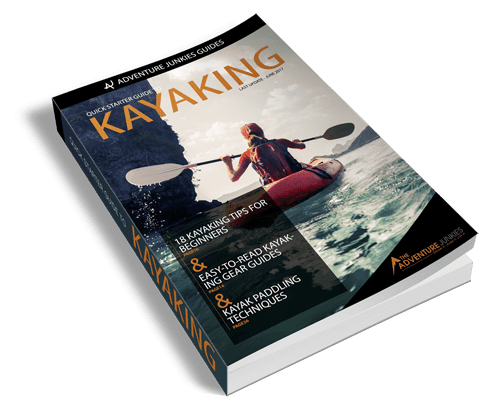 Click on the button below to see our complete packing list of the gear we recommend you to bring. Antarctica trips run from December to March. There are different possibilities of what kind of wildlife you can see each month. The end of the season is better for whales while early in the season is possible to see penguin chicks. Most of the cruises available are between 8 and 18 days. Some of them combine the Antarctic Peninsula with the Falkland islands and South Georgia. Not every company provides a kayaking option. Even if they do, it’s normally available to certain amount of people and for an extra fee. Make sure you book your kayaking package well in advance. Your hands and feet will get very cold while kayaking. Make sure you bring waterproof kayaking gloves and extra protection for the feet. If you’re looking at doing something truly unique, different and life-changing, a trip to Antarctica might be what you’re looking for. It’s an experience you can’t imagine until you live it in first person. Many people say Antarctica is “too expensive”. When something is expensive is because the cost is much higher than what you receive in return. 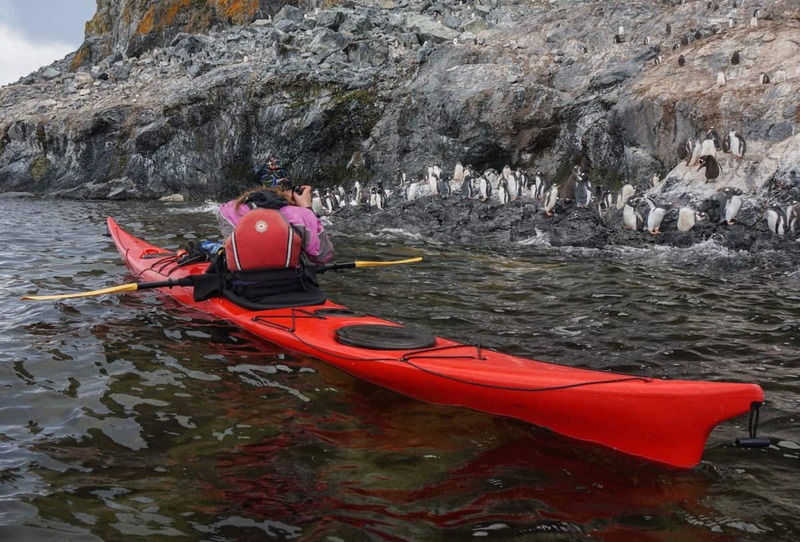 Kayaking in Antarctica is a costly adventure, but I don’t think it’s an expensive one. I can’t think of many other adventures where you get more than what you pay for.